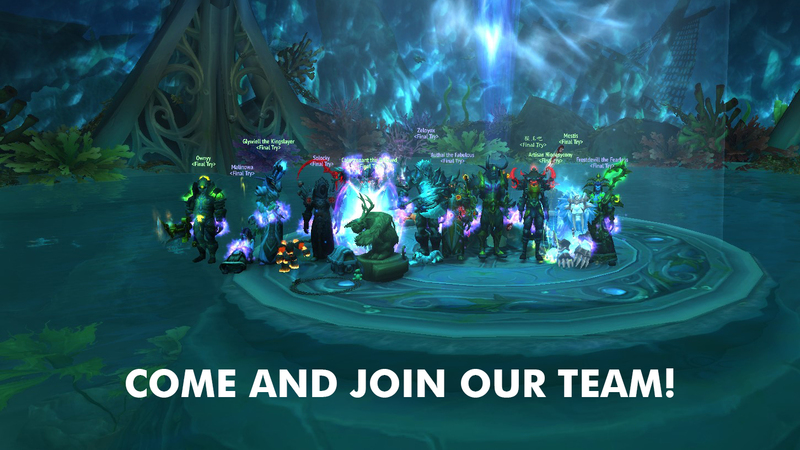 We are "Final Try", English PVE guild. We are currently aiming Tomb of Sargeras Normal/Heroic, main progress. 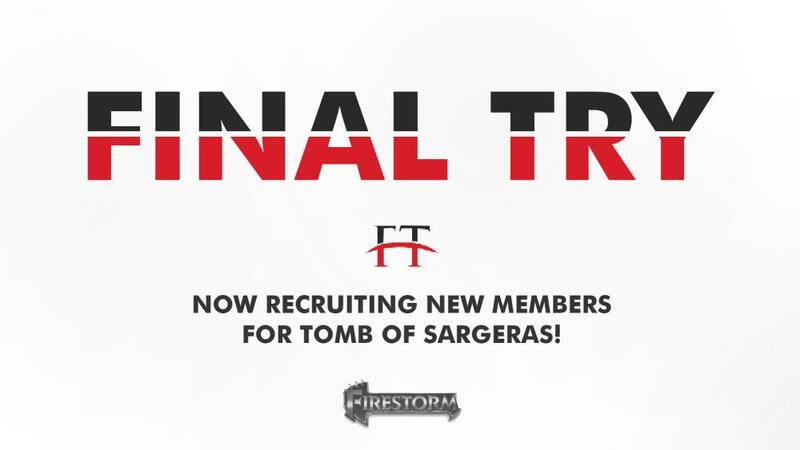 We need active members with 900+ item level, who are willing to listen and perform well on tactics on every boss. Our slots are open for all classes. 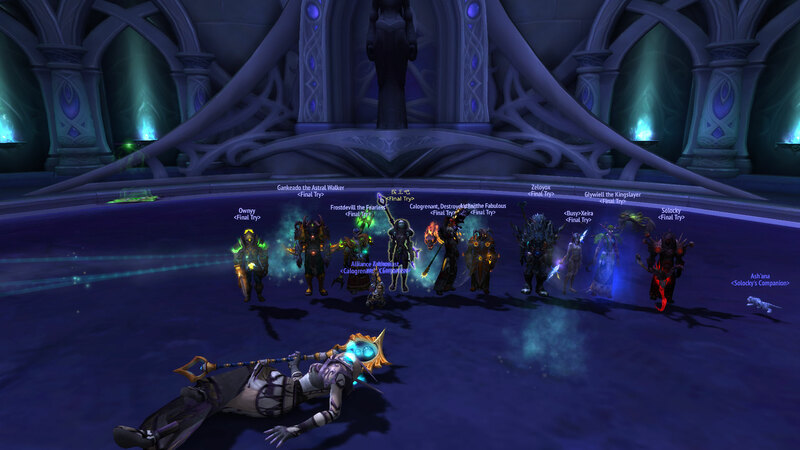 Sometimes we do other raid for fun! 2. 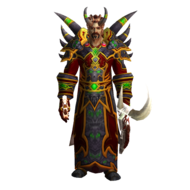 We will test your DPS when you join. You have to do 800k+ DPS on dummy for 5min to join our ToS raids. 3. 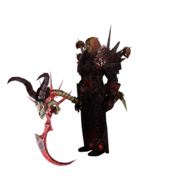 You must be prepared for every boss on our raid day (food, flasks, seals, ect.). 4. You must be able to play on 18:30 Server Time. If you can't come on raid time inform on discord or any officer and core member on guild. 5. While you may not accept some people, we expect you to at least respect others that have an alternative view than you do. To join in guild , whisper Authai, Tejay or 猴王吧. Once you are invited , you will be ranked as "Recruit". After that, we will test your DPS and Tactics execution. When you pass we will promote you to "Member" and then u will be tested on ToS raid. If you are good in raids then you will be promoted to "2nd Team" rank and you are ready to play with us. 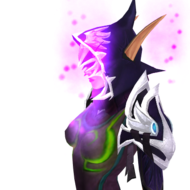 To join guild you can now whisper Solocky aswell.